The Dine Team always has great fun figuring out new ways to wow your guests. 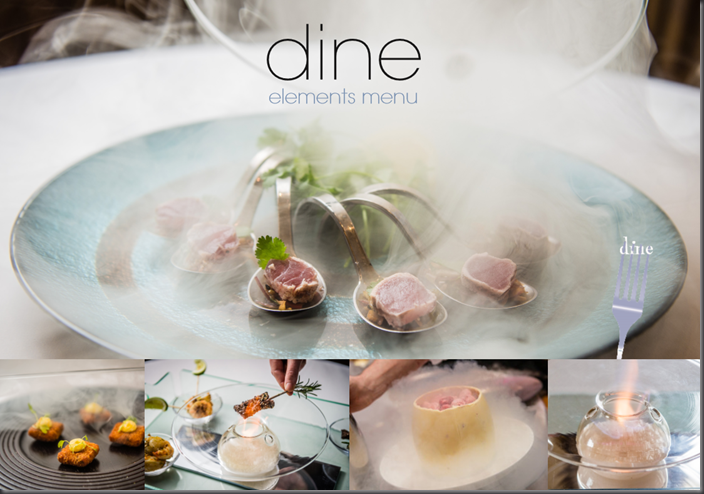 We have developed one of our most spectacular menus yet with the ‘Dine Elements’ menu, which incorporates some revolutionary equipment and techniques and is guaranteed to make your next event memorable. ©Dine. This proposal, its contents, menus, layouts and ideas are the property of Dine unless released with specific written permission by a Director of the company. Dine will act to protect its intellectual property. Contact us for details of Dine Elements or any other of our exquisite menus.